Justice has left the building. But, last Tuesday afternoon, Police Chief William Scott tried to reassure the Board of Supervisors that the Justice Department’s exit from SFPD’s reform efforts will make no difference. “The thought process and the desire is to continue, even though the DOJ has concluded their work,” said Scott. The new police chief promised to forge ahead with the 272 recommendations made in the Justice Department’s report, but some feared that now that its oversight and technical assistance has been withdrawn, progress could lag. 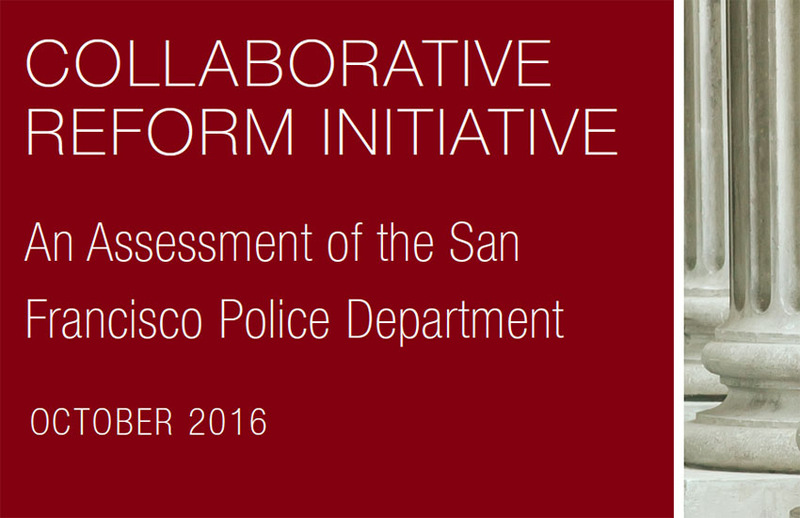 The withdrawal impacts not only San Francisco, but other cities across the country where the Justice Department’s office of Community Oriented Policing Services critiqued departments, recommended changes and oversaw those changes. Beyond the monitoring the agency and issuing reports on its progress, the federal office helped implement the recommendations. For example, on use of force, the office would help assign de-escalation trainers to SFPD. And, on efforts to develop a crisis intervention team, it would help draft the actual policies. However, money could be an issue. In an exchange with the Board of Supervisors, Scott suggested that “to pick up where the DOJ left off,” he might have to “repurpose” some portion of $800,000 that had been set aside. That money was meant for teaming up with academic partners on issues of IT support, bias assessments and analysis. The Bar Association’s Traun, who sits on three of the five working groups formed after the Justice Department’s report, said she worried about using any of the $800,000 for other purposes. That money, she said, had been set aside for outside academics whose work was critical to helping address broad issues that touch various aspects of the SFPD’s operations. For her part, Karen Fleshman, who sits on the working group on bias and runs a consulting practice on issues of race, said she was concerned about issues of accountability. When the Justice Department was involved, the five executive groups handling the recommendations — each led by someone from the SFPD –reported back to the Justice Department. While acknowledging the need to figure out how the reforms would be overseen going forward, Chief Scott said that the department hopes to figure it out within the next few weeks.